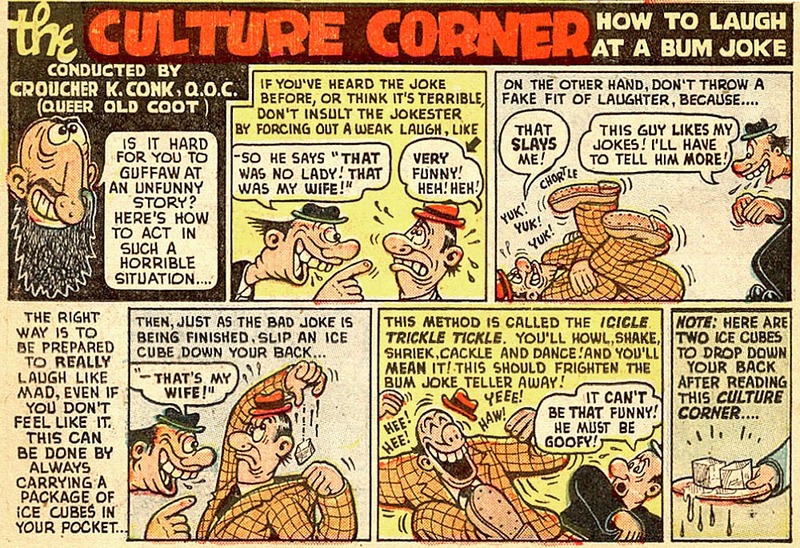 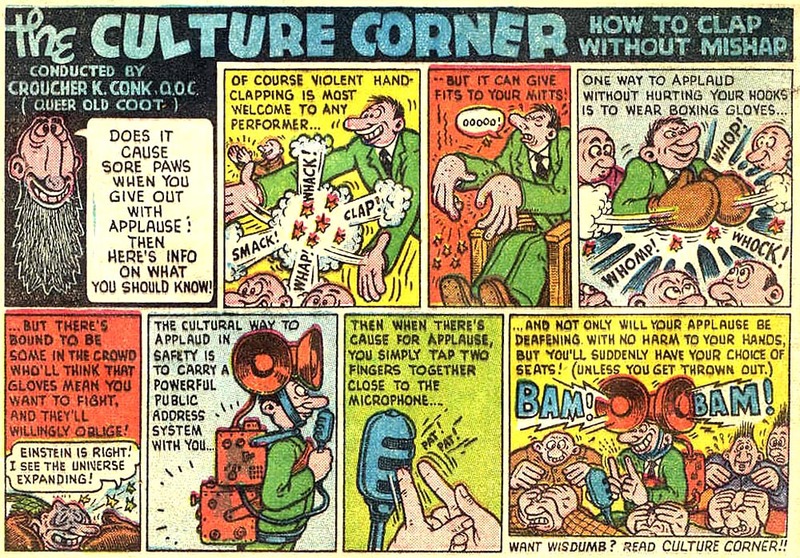 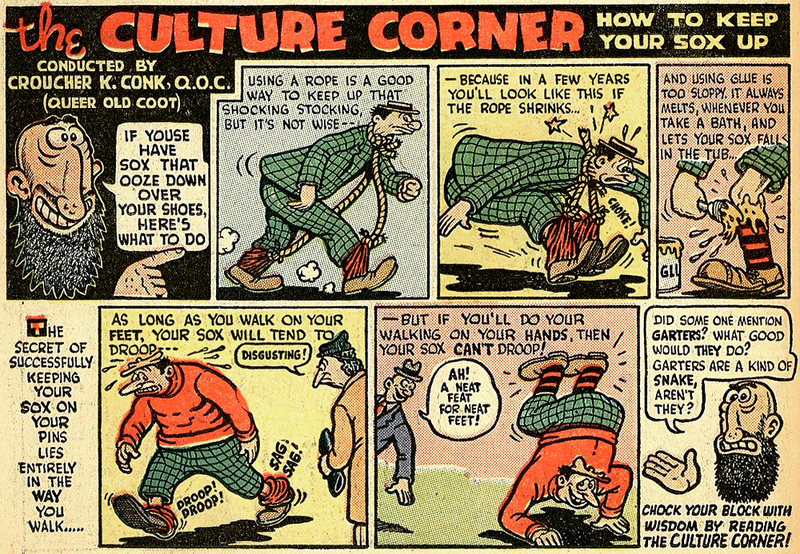 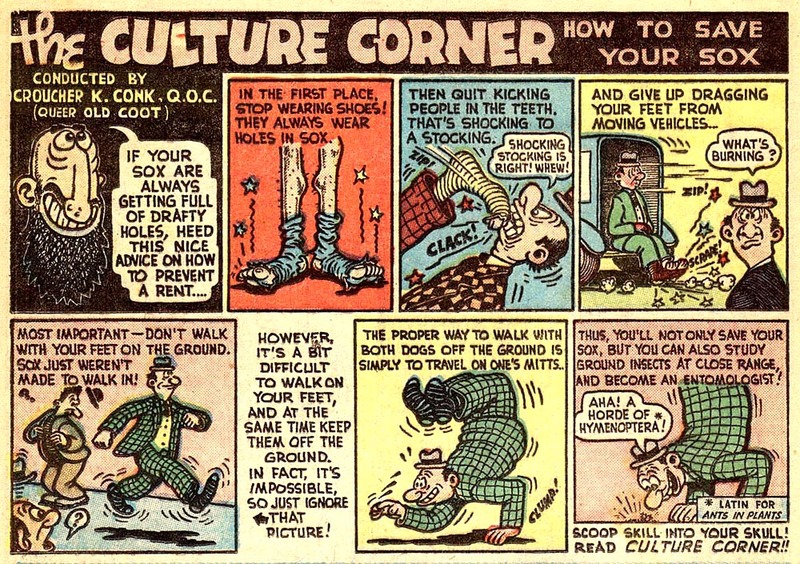 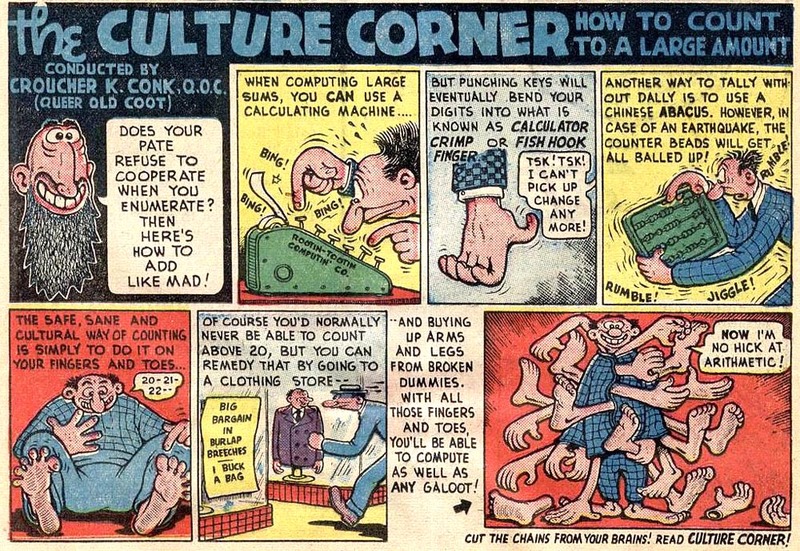 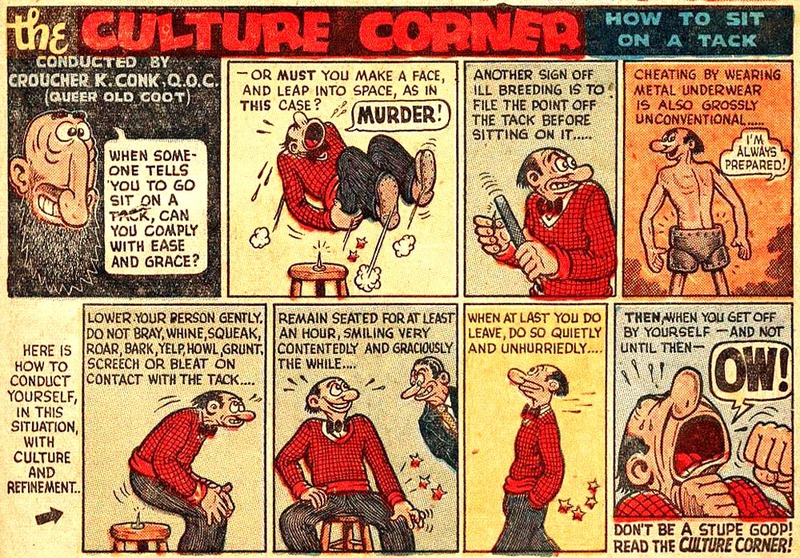 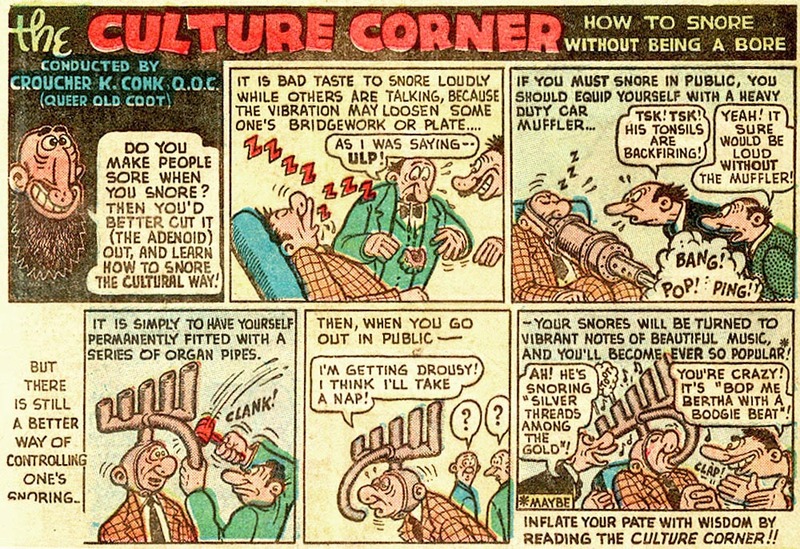 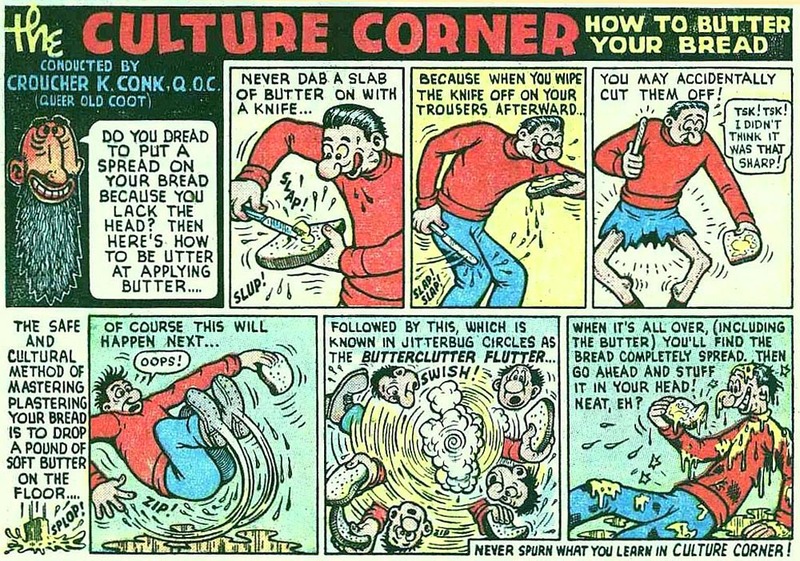 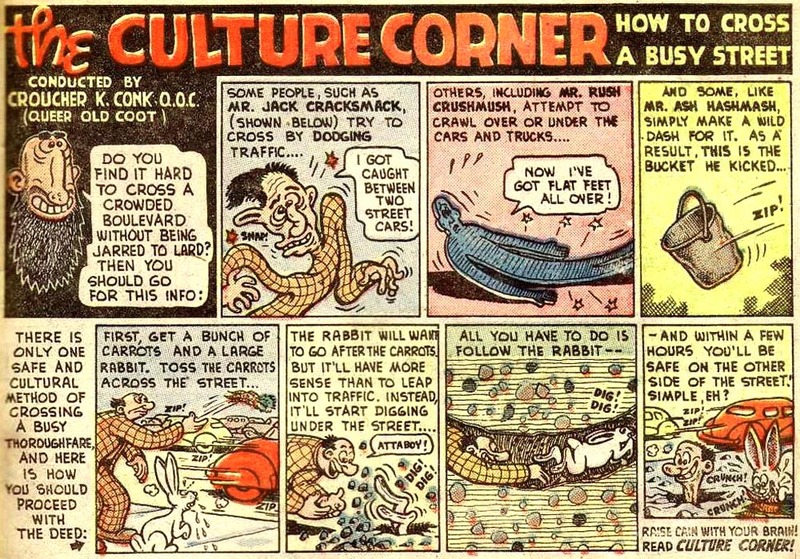 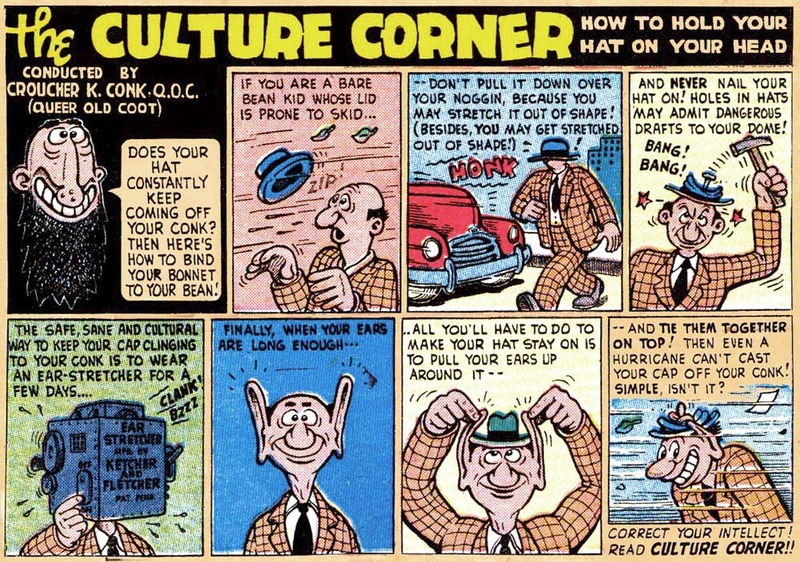 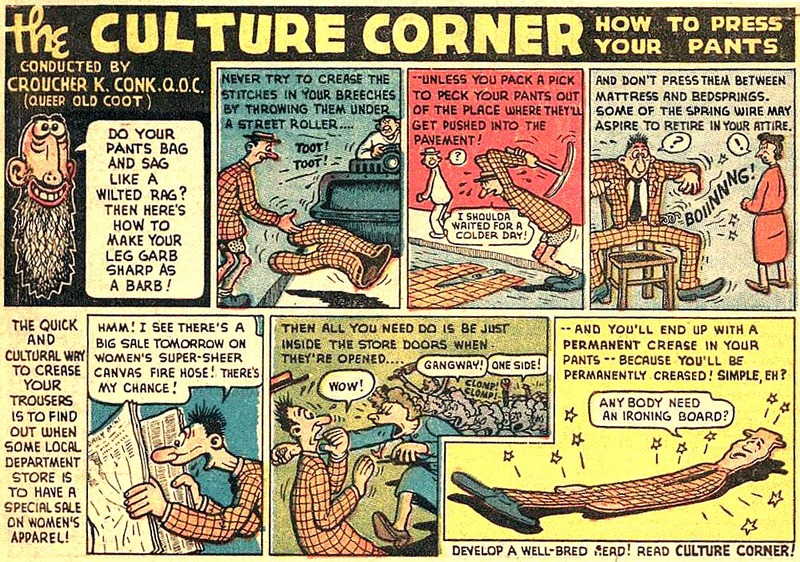 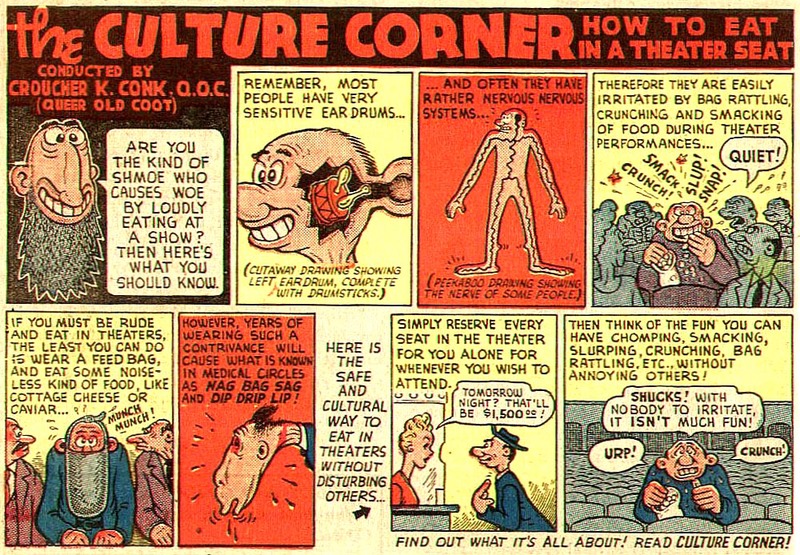 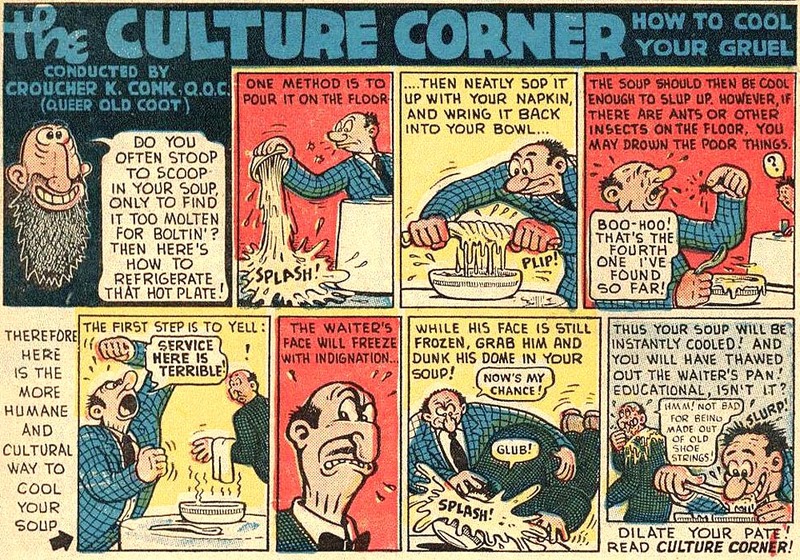 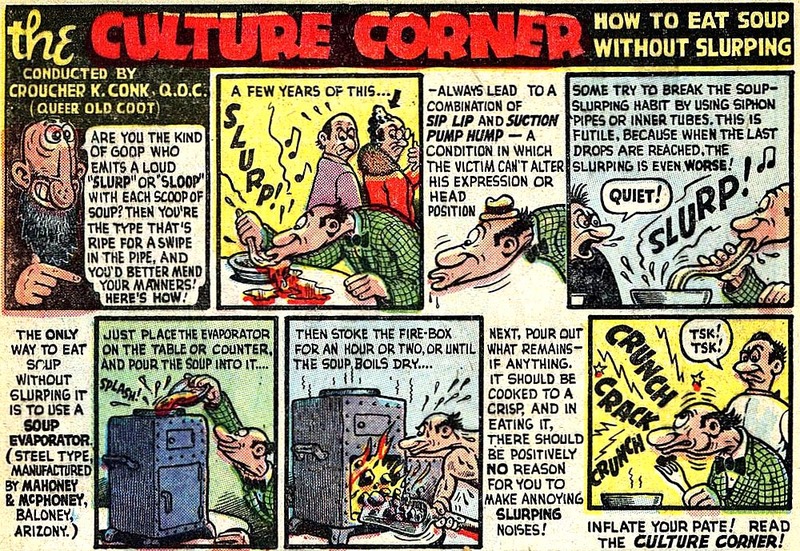 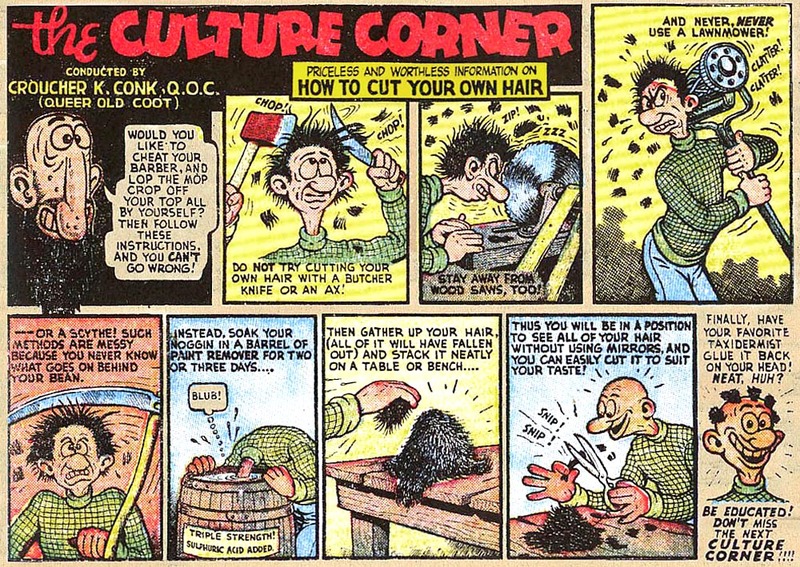 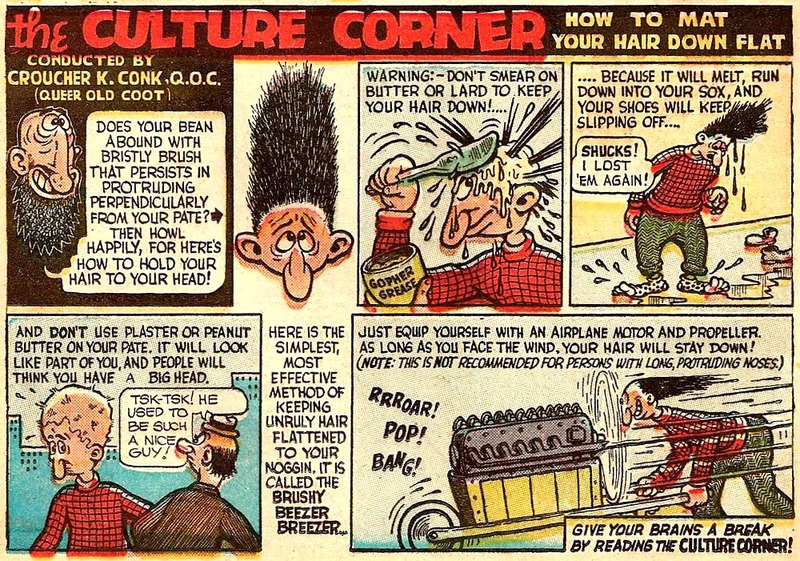 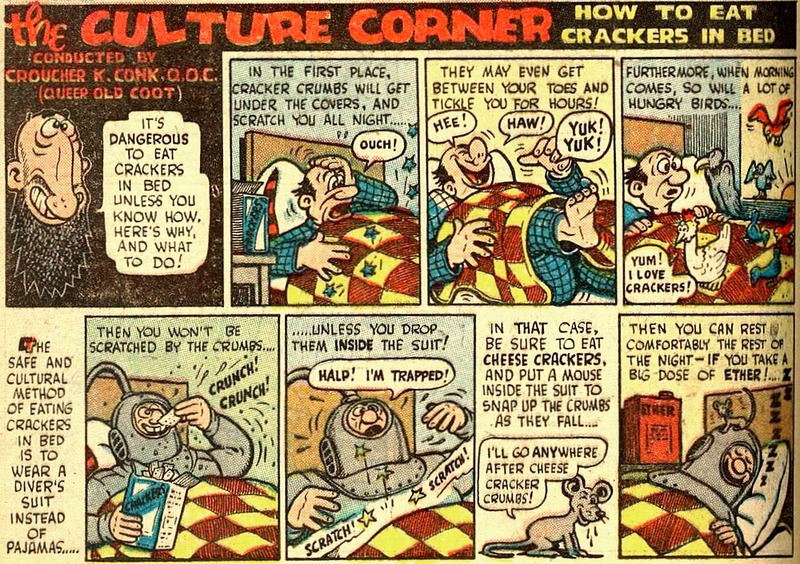 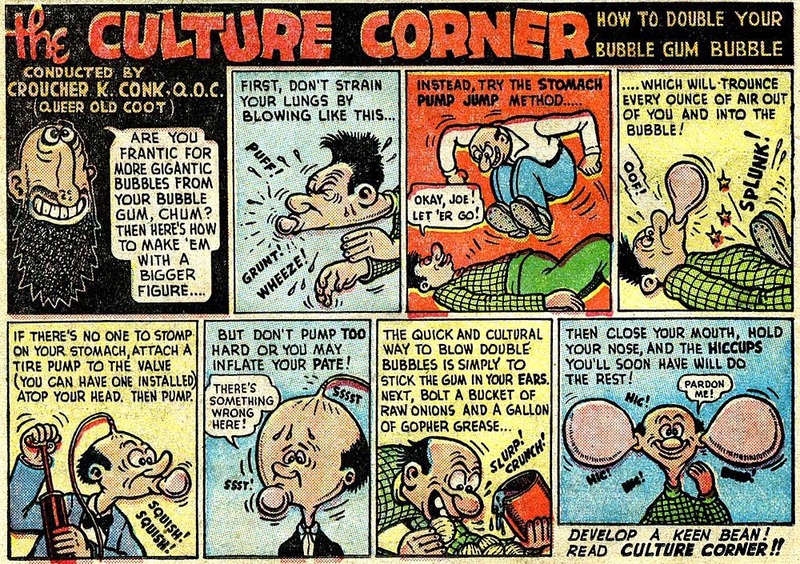 Here is an assortment of Culture Corner strips from Whiz Comics in the late 40s. 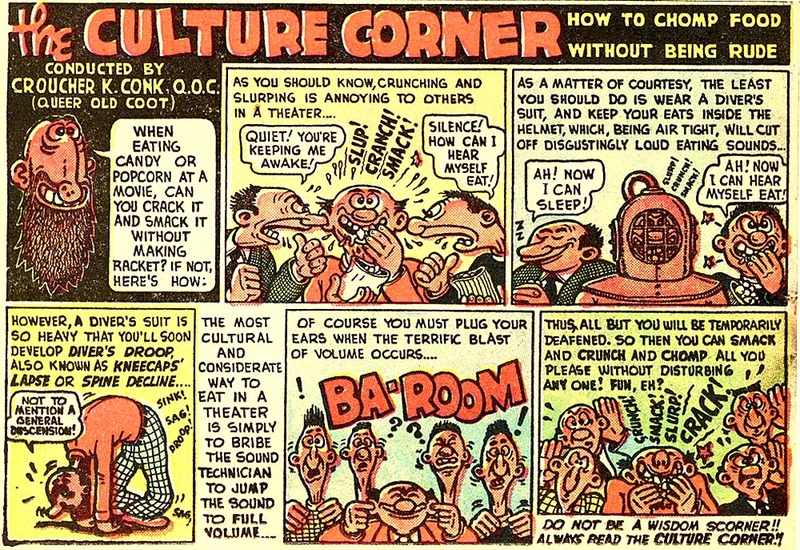 Enjoy the madness of Basil Wolverton! 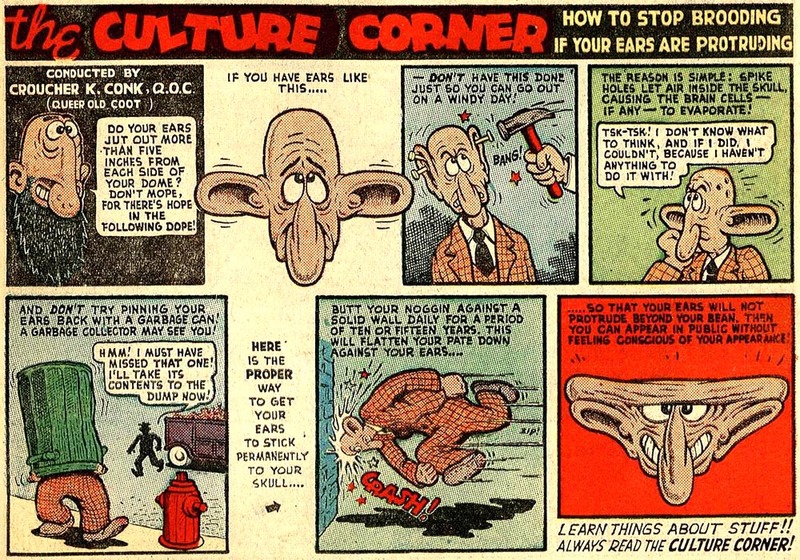 This entry was posted on Monday, October 16th, 2017 at 12:22 PM	and is filed under basil wolverton, comic book, Inbetweens.